Bad pics I know but bare with me here.....it was really late at night and I didn't have a lot of time to set up a shot. When I am craving something really luscious I make up a batch of Bam Bam Shrimp! It is absolutely delicious and isn't as hard as it might look. The only things I changed from the original was to cut the sauce in half and add one more step to the coating. approx 1/4 bottle Thai Sweet Chili Sauce, adjust to taste. Mix ingredients for sauce and set aside. Mix egg and milk in one bowl and mix flour, corn starch, garlic powder, salt and pepper in another bowl. Dredge shrimp in egg mixture (* I added an additional step, I dredge the shrimp in flour first! It makes a much crispier coating) and then dip in flour mixture. Fry in oil until lightly golden. (It should only take a few minutes to cook the shrimp). 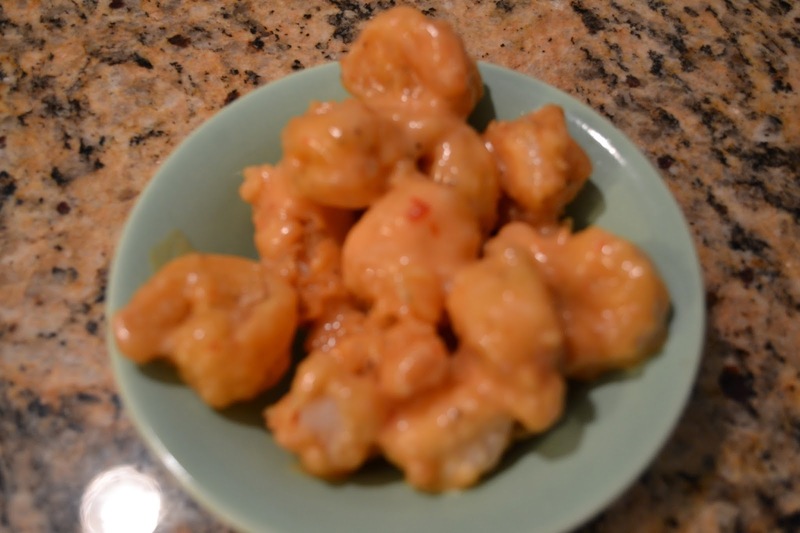 Place shrimp in bowl and pour a few tablespoons of sauce over shrimp. 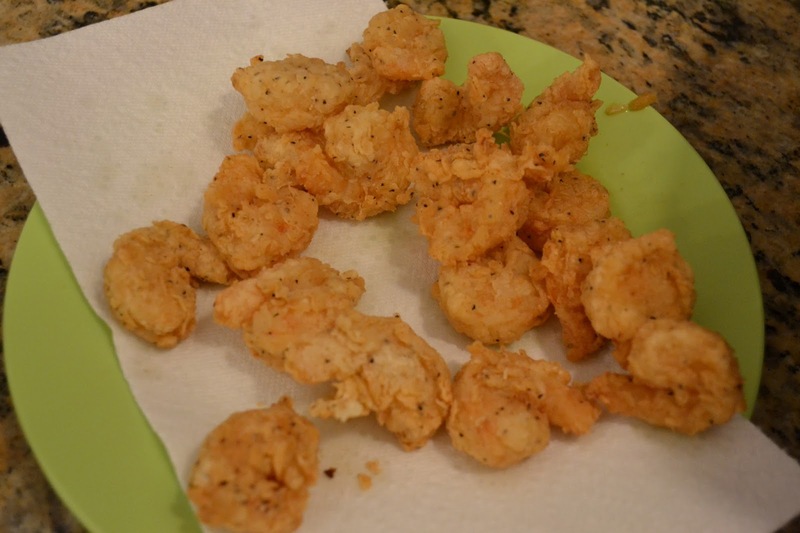 Mix together until shrimp is evenly coated. Add more sauce if needed.